Things are hotting up in Ibiza as many of the big clubs are set to open their doors for the Summer of 2015. 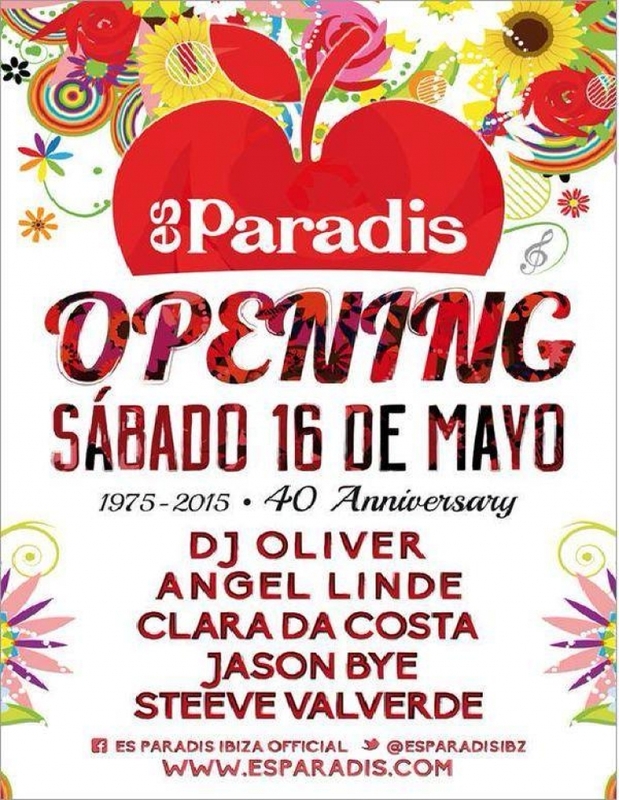 The notorious Es Paradis opening party sees some of the islands famed Ibiza residents take to the centre stage of the famous Es Paradis Pyramid, a monument on the San Antonio Skyline. With a line up consisting of our very own Jason Bye taking to the decks along side, DJ Oliver, Clara da Costa, Angel Linde and Es paradis' stunning dancers acrobats and aerialists. The island is definitely ready to kick things off for the summer.